On Sunday most preaching on the Widow’s Mite will preach the opposite of what Jesus in the Bible is actually teaching. On Sunday many men (and women) in long robes (and even those who deprecate robes and instead wear expensive suits or hip-pastor jeans with designs and crosses on the back pockets) will get up and preach on this Sunday’s Gospel reading, the Widow’s Mite (Mark 12:38-44), and preach the exact opposite of what the text intends. Some will quote Mother Teresa of Calcutta, others, Saint Thérèse of Lisieux, using smooth words that it’s not the amount you give but the cost to you, or about the value of doing little things with big love. Let’s put money on it (2 mites? λεπτόν lepton) that this is the majority interpretation of the Widow’s Mite text. These preachers, who like to walk around in long robes (and those who disparage robe-wearers), and to be greeted with respect, and to have the best seats, and places of honour at banquets, and for the sake of appearance say long prayers, will stand up and praise the widow and encourage the giving even out of your poverty to give everything you have, all you have to live on. And mostly to keep the building pretty, and to pay the preacher…. Beware of the scribes, who like to walk around in long robes, and to be greeted with respect in the marketplaces, and to have the best seats in the synagogues and places of honour at banquets! They devour widows’ houses and for the sake of appearance say long prayers. They will receive the greater condemnation. Often quoted is William Temple’s “The Church is the only society that exists for the benefit of those who are not its members.” But too often, rather than being missional (the meaning of this quote) we see church-as-club, and church building as pretty club-house, and evangelism (especially of youth) as trying to make sure we have sufficient people to maintain the club and clubhouse. If you appreciated this post, don’t forget to click “like” on the the liturgy facebook page, and/or signing up for a not-very-often email. (There is also an RSS feed). Very good Bosco – it makes sense when you understand that Jesus is preaching about a spiritual kingdom. It also provides comfort for the conservatives fighting the liberals – the real assets in the kingdom are the faithful believers, not the buildings. I’m guessing that Father Bosco hasn’t responded because he doesn’t know what to make of this comment! Neither do I. What does being conservative or liberal have to do with what Bosco has said here? Are you saying liberals put emphasis on buildings? And that conservatives don’t? I thought the connection far from obscure and completely in line with the concept Jesus is taking issue with. The issue is that as some within the various protestant church families shift their view and debate ensues, the issue of the assets and who controls them has arisen. Buildings are generally held in a central trust and local congregations do not have ownership of the buildings they use. One side or the other may perceive they will lose buildings which have significant value or history and the loss of those will be difficult. That such fears exist on both sides is far from hidden. 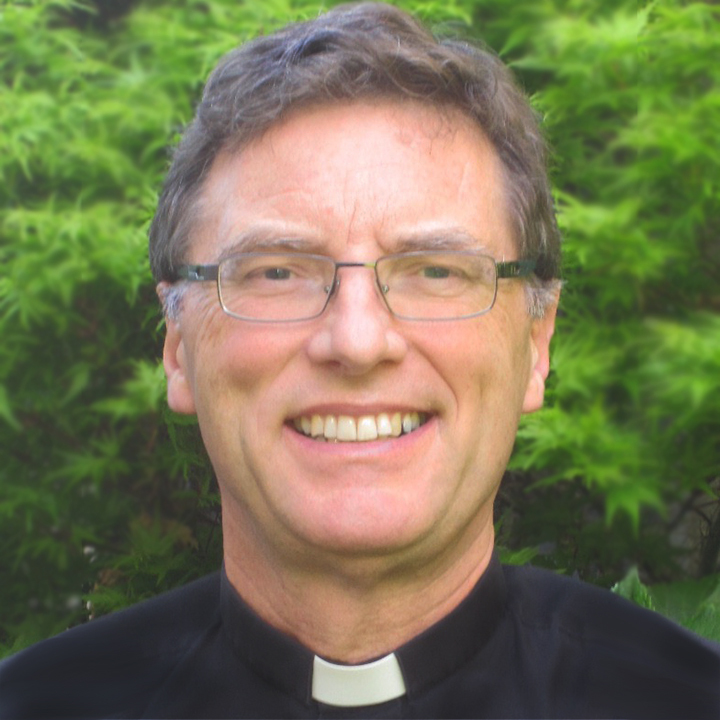 Bosco’s blog was a great encouragement as it reminds the church that the physical assets are not central to the kingdom of God and if holding to God’s truth requires they be abandoned so be it. The Gospel will still go out. You are mistaken. Jesus was speaking in terms of praise for the Widow. The Lord does NOT feed the hungry, if by feeding them you mean raining food down out of the sky. This has not been observed. The meaning of feeding the hungry is that WE have a job and it is to feed the hungry as Christians. God doesn’t let us off this, and if WE had the motivation and the priorities to get food to North Korea, Somalia and Appalachia RIGHT NOW, we would not have Christians losing their faith over starving children and refugees. Can you point to where, exactly, Jesus was speaking in terms of praise for the action by the widow? Your comment is totally self-contradictory. The widow, through her action, no longer had anything to live on. The text is very explicit about this. By giving as she does in the text, the widow is one of the hungry. Nowhere do I suggest that WE do not have a job to feed the hungry as Christians. Quite the opposite. I write that there is “a much better frame – sharing resources”. I am very comfortable with people disagreeing with my interpretation – but not so if you suggest that I say things which I don’t, and then argue against that. Thank you, Bosco, for this fascinating and edifying reading. I really appreciated it. It is pleasant to be jolted out of an eyes-glazed-over reading of such a familiar text! Looking across Mark 11:1 to 13:3 (book-ended by arrivals at the Mount of Olives, always looking to the Temple), it’s interesting how much of the narrative has to do with “coins” (tribute money), “stones” (faith moving mountains, “chief cornerstone”), and widows (married to 7 brothers, devoured by scribes). And then we get our widow bearing coins into the temple of great stones. I do rather suspect that concatenations like this partly arose from cross-associations in the composition process of the writer, or in the background oral tradition. Austin Farrer, in his commentary on Revelation (“A Rebirth of Images”), gave a wonderful exposition of how this operates in the Johannine writings, which can seem strangely meandering until you realize that one key word reminds the author of an idea that he wants to follow around that word, until he then works back to the previous idea. This all makes me think that a reading of the widow’s mite episode in isolation, understood as a laudatory exemplum, may not be altogether illegitimate. The idea of throwing away everything for God — even your life — is, after all, not unusual in our Lord’s teaching. And in the Gospels this is shown to be easier for the impoverished than for the wealthy. But as you’ve so beautifully shown, the context enriches the meaning of the story immensely! And looking back to chapter 11, the reference to the “chief cornerstone” (12:10) finds its counterpart only in the prediction of the demolition of the temple (13:1-2), which goes to show that everything in between can, and ought, to be read in terms of the passing away of the earthly temple and the inauguration of a “Jerusalem that is above,” which can be manipulated to no one’s unjust advantage. Thanks, Jesse. I’m sure you are right, and thanks for showing those connecting words and images – that is, I would think, how oral tradition works, and how those beads are later strung on the string in this order. The widow’s mite as laudatory exemplum may also have be a Christ image – the one who, on the cross, out of her poverty has put in everything she had, all she had to live on. Blessings. Our discussion reminds me of an address I heard given by the former bishop of Durham, David Jenkins (of “conjuring tricks with bones” hysteria). He suggested that much of the Bible needs to be thought of in the same was as the “visual approach slope indicator” lights used on airport runways: if you’re coming in too steep or too shallow, you see different colours: double white, too high; double red, too low; white over red, perfect. So perhaps the narrative setting of the widow’s mite story should be understood precisely as a corrective to the “wrong idea” that can so easily be preached about it: sacrificial giving, white over red; sacrificial giving for temporal goods, possibly white over white (you’ll miss your landing); exploiting sacrificial givers, red over red (you’re going to crash)! That’s such a helpful image, thanks Jesse. Blessings. I dunno. Perhaps it’s not so much that one interpretation is wrong and the other is right, perhaps it’s one of these both/and situations. Yes, the robe wearing oppressors are wrong to coerce the poor to give more than their means towards buildings and their own pocket linings. But also, from the widow’s point of view it was an act of pure devotion, and surely the Lord who sees what’s in the heart not the external appearance would have honoured that. Thanks, Claudia. I guess the issue is ultimately how, this Sunday, this text will be used. Will it be used by ” the robe wearing (and robe-eschewing) oppressors to coerce the poor to give more than their means towards buildings and their own pocket linings”? Or will it help to encourage “an act of pure devotion” that is of no benefit to the church-club? Might it even encourage the church-club to “an act of pure devotion”? I think if you read through the comments, especially the conversation with Jesse (always insightful here), you will see some pointing towards what you are suggesting. And I think this conversation (and your own post) help also in that. Blessings. Perhaps gratuitously, this reading for this Sunday plays into the hands of “The Club.” I’m not familiar with the Church in any other regions of the world, but in most Anglican & other Protestant churches in North America, parishes & congregations are wrapping up their annual stewardship campaigns. So this reading is often used to wring out the “last mite” for next year’s budget and building campaigns! Thanks, Br David. I may be out of touch, but I’m not sure there is a voluntary-club-fee-promotion season here (under the euphemistic misnomer “stewardship”). Even more reason to suspect that I am correct, and wringing out the last mite will be the majority sermon tomorrow. Blessings. Read a note that this action of the widow showed the widow to be an idiot. She could not benefit from the system yet there she was giving her all. Never heard this before so I was taken aback. Sounds like the note you mention was part-way to the reading this post points to, Kathy. And I do hope/suspect some have never heard before what I’ve written above. Blessings. The U-tube video makes a great point well and is very funny, but lands us back in piety mode. It is easy to react with feeling against the grotesque mega-“evangelists” and their pallid prosperity gospel imitators whom we occasionally stumble against here. But what is the Spirit saying to the Church of Or? And how is this word being addressed through us to our national culture in its various failures to nurture the human spirit and its willingness, especially since the Rogernomics/Ruthenasia revolution, to swallow up the powerless in order to maintain the privileged? What is the national Temple which eats up widows and the fatherless rather than defending them? What does the Gospel say to this culture? In what ways is the Church complicit in this culture and how does the Church challenge it? And how does the average person in the pew go forth from this Gospel to “love and serve the Lord”? Big exegetical questions which can get you into a lot of trouble. Thanks so much, David, for this underlining. I sat up most at your question, “In what ways is the Church complicit in this culture?” And my first reaction is – when we live out of a model of church as club. Blessings. 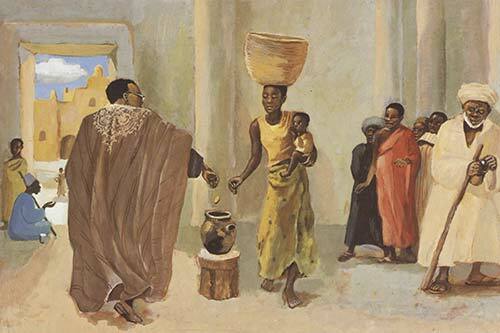 The challenge for me, Bosco, with this morning’s Sermon, was observing the fact that the poor widow was giving of her base resource, while most of us give a share of what we have left over – after all other expenses are taken care of. Perhapd the wodow’s faith was greater than mine’ours – believing that God would provide? Was that not the lesson Jesus taught? And then, there was also the Widow of Zaraphath, who had lttle reason to give in to Ezekiel’s request – the share the last of her resources. But she did so, and her faith rewarded not just her and her son, but the Prophet, too. It was this act of faith – even though co-erced (? ), that resulted in God’s provision of future needs as well. I guess the challenge for me was: Would I have such faith? Thanks, Fr Ron. That God provides is certainly a lesson Jesus taught. I’m not convinced that that is the lesson Jesus is teaching here. As I said in the post, the story of the widow of Zarephath provides a much better frame – God normally provides through the sharing of resources. I think the challenge to you and me in this story, as priests, is to be facilitators of abundant life in all, including the weaker and poorer in our community, and not to take advantage of them (however subtly), becoming leaders of the church-club, and maintainers of the club-house. Hi Bosco – I think you have the meaning just right. I deliberately extended the set gospel reading (!!!!) by two verses to make this point. Unfortunately those who produce the Lectionary decided to cut a complete narrative apart. Well done, Eric. I quoted the “extension” in my sermon, and reinforced how convenient it is for church-as-club to approach the Bible as what you so helpfully call, ‘Fridge magnet piety’. Blessings.